The Sephora VIB sale starts today and will run until November 14th. Last week, I wrote about my VIB Rouge Sale Haul and Recommendations, which you can find here, and today I would like to share some items that I have found to be completely worth the purchase. 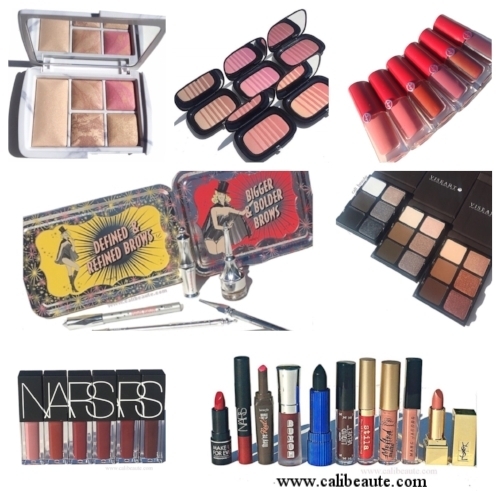 Many of these items were purchased full price, while some items were recent beauty discoveries. I also tried to include items that I feel will give you the most ‘bang for your buck.’ Scroll below for my beauty recommendations, swatches, and more. 1. 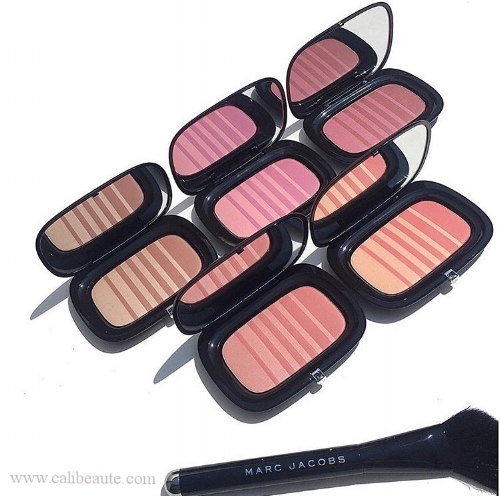 Marc Jacobs Beauty Style Eye Con 20 About Last Night, $99 Link here. This limited edition holiday edition has 20 gorgeous shades that are effortlessly wearable, and can take you from day to night. It’s also housed in a beautiful gold compact with a sizable mirror and snap closure. It’s remarkably luxurious. If you are in the mood to #treatyourself to something truly beautiful, this is it. Review and swatches here. I’m still obsessing over these duo toned high performing blushes which perform exceptionally and create a beautiful flush on the cheeks, whether subtle or intensified. Review and swatches of all five here. I have not been able to put this portable 6 pan palette down ever since I purchased it at the Makeup Show LA. It’s a constant makeup bag companion, featuring an array of warm tones that blend seamlessly. 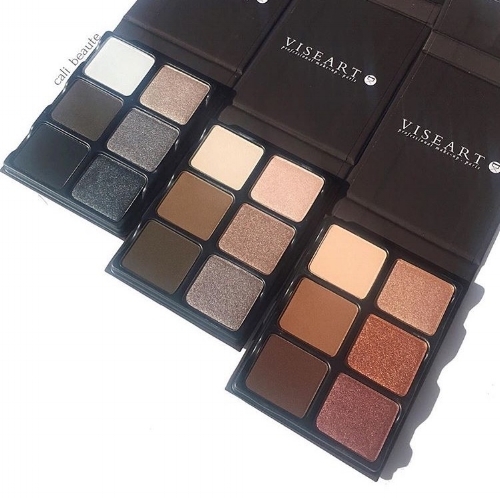 Each pan pops out and is interchangeable so you can create your own custom eyeshadow palette with the other two offerings Cashmere and Chroma, swatches here. 4. 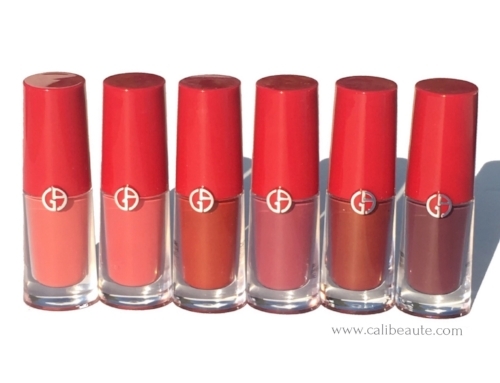 Giorgio Armani Lip Magnets, $38 Link here. These lip magnets combine long lasting wear, with beautiful color payoff. It is one of the most lightweight liquid lipstick formulas I’ve ever tried and dry to an incredibly comfortable matte finish. Plus they are clutch size and so cute. I have six colors reviewed and swatched here. 5. 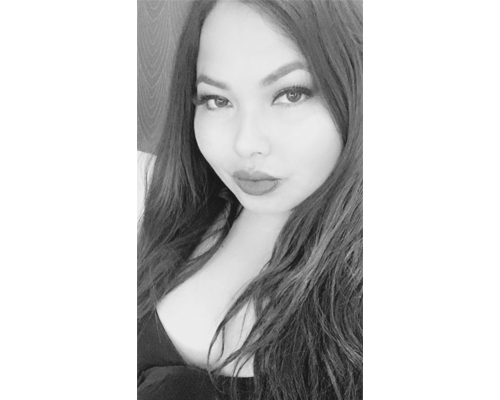 Sephora Favorites Give Me Some Lip and Liner, $60 Link here. I always look forward to Sephora’s Holiday kit offerings, which usually includes both full and deluxe sized products at an immense value. 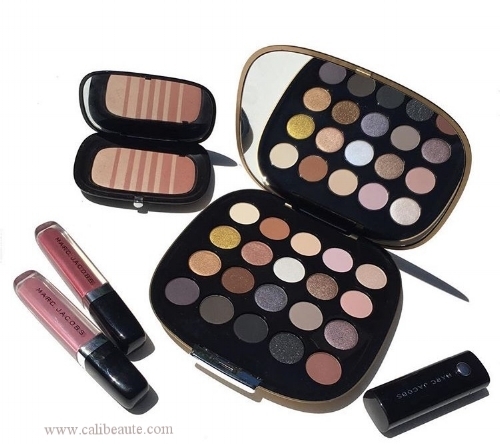 In this set, you get five matching sets of lip color and liner in both glossy and matte finishes, all priced at $60. 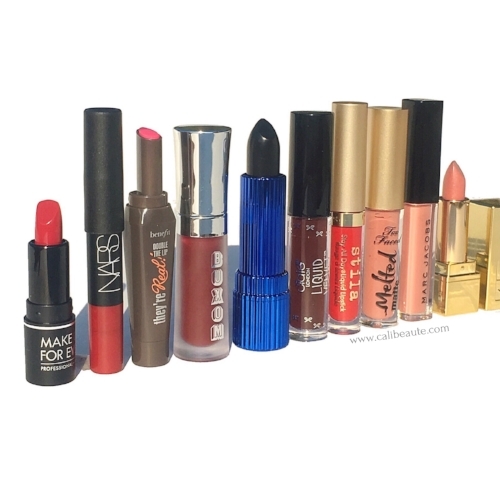 For more details and swatches, find my post here. 6. Sephora Favorites Glow for It, $30 Link here. 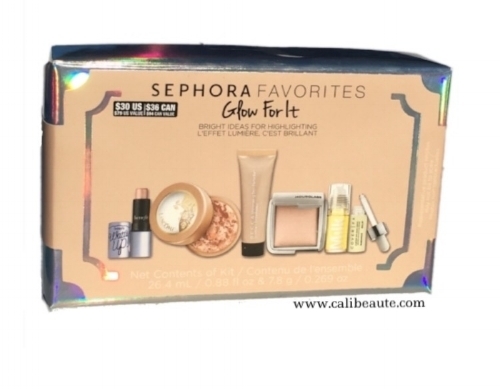 Another set that I really loved is this multi-branded assortment of Sephora Favorites to keep you glowing from day to night, featuring highlighters in liquid, powder, cream, oil and gel forms. Details and swatches from a previous post here. 7. 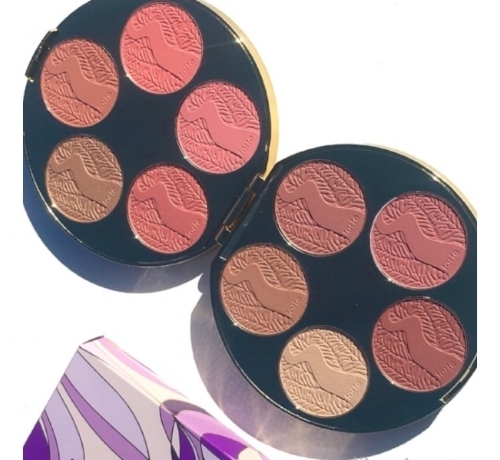 Tarte Amazonian Blush Clay Wheel, $44. Link here. This limited edition double sided cheek palette is a great travel companion, containing 10 blush and highlight shades for the cheeks. I’ve taken it with me for the past two months on my travels and it is sturdy and allows me to create a range of looks for day and night. Find my swatches here. 8. 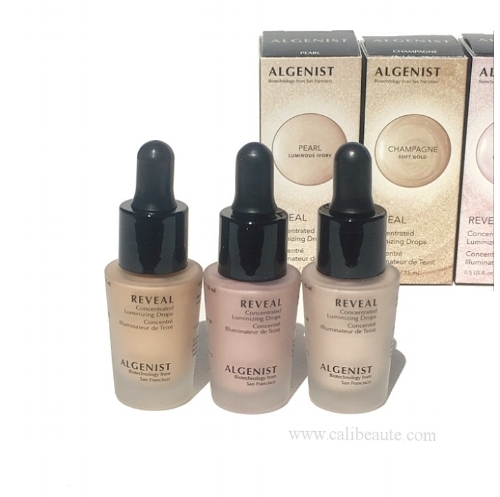 Algenist REVEAL Luminizing Drops, $38 Link here. These drops are simply amazing. You can wear them alone or mix them with your foundation for a beautiful luminous all over glow. There is also a deluxe size duo that you can currently find at Sephora’s Beauty to Go section. 9. Nars Sarah Moon Mind Game Velvet Lip Glide Set, $45 Link here. 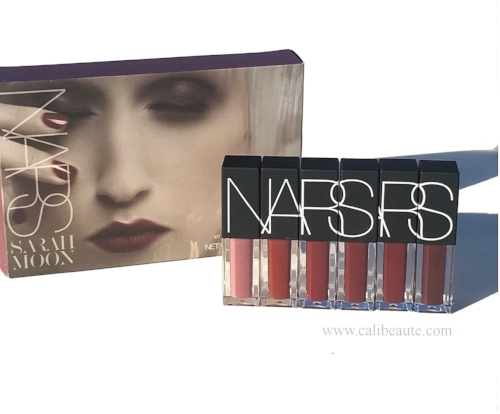 If you A) like deep Fall tones and B) are a fan of Nars lip products, then you won’t be disappointed with this set featuring 6 deluxe sized Velvet Lip Glide in beautiful, deeper berry tones. Find my review and swatches here. 9. 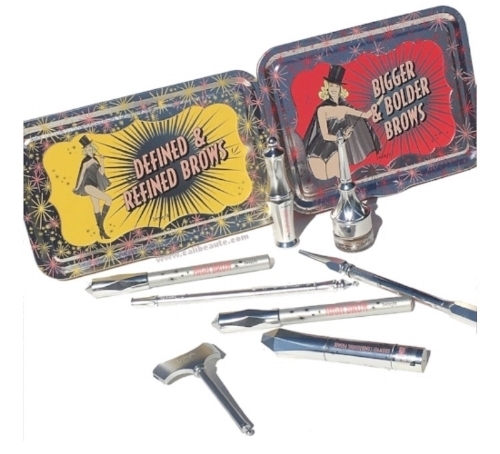 Benefit Cosmetics Brow Kits, $34 Link here. These kits are such an incredible value, featuring 2 full size items or more that can take brows from natural looking to dramatic. I really couldn’t be happier with this purchase.More details about each kit here. 10. 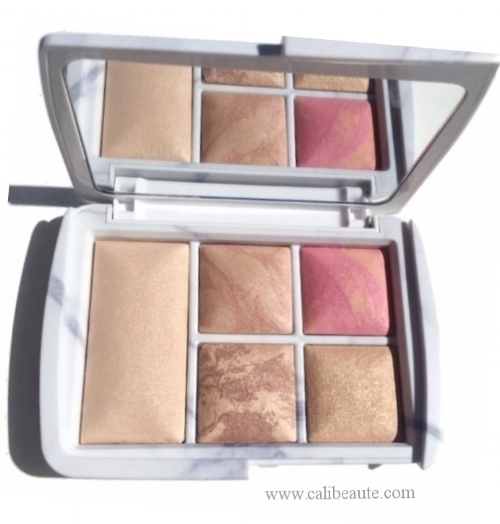 Hourglass Surreal Light Ambient Lighting Palette, $80 Link here. Not only is this limited edition palette which features gorgeous marble packaging a stunner, it houses an array of beautiful powders that yield the most beautiful soft illuminating glow, full review and swatches here. I hope you enjoyed reading my recommendations. What’s on your list? The VIB Sale starts today and will end November 14th. You can visit the site here. Thanks for stopping by today beauties!